The congressman sees an opportunity to confront military bloat in the deficit debates and war-weariness. Second, Frank sees greater grounds for bipartisan bridge-building than we’ve had in years: liberals increasingly recognize that tackling defense spending is a necessary condition for preserving social progress, and some principled conservatives are applying their cost-cutting philosophy to the military-industrial complex. While Rand Paul may be the most prominent Republican breaking with the defense industry, Frank urges that we keep an eye on South Carolina Congressman Mick Mulvaney, “a leading Tea Party activist” whom he also calls “a very good guy, very well respected.” Frank notes Mulvaney “was my co-author on the first amendment that passed in my thirty-two years” in which the House reduced the level of military spending that had reached the floor from the Appropriations Committee. When it comes to confronting military bloat, are we finally reaching a turning point? 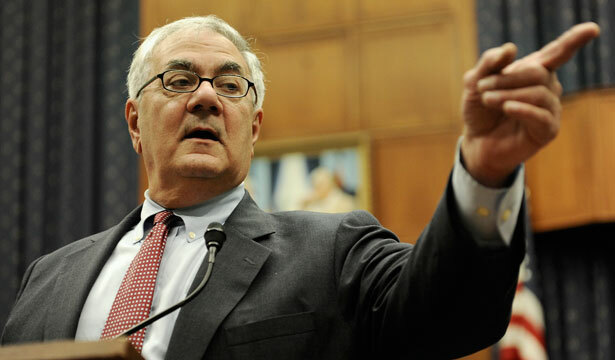 “We are on the verge, I think, of some major progress,” says Barney Frank. And if anyone would know, it’s Frank, the trailblazing former congressman and candor addict. Read Katrina vanden Heuvel on Governor Andrew Cuomo’s attempts to get rid of the Working Families Party confronting big business.